No trip to the Philippines could be completed without seeing the spectacular Banaue Rice Terraces. Carved from the mountain ranges about 2,000 years ago without modern tools by the Ifugao tribes, these magnificent farm terraces resemble giant steps reaching up to the sky. 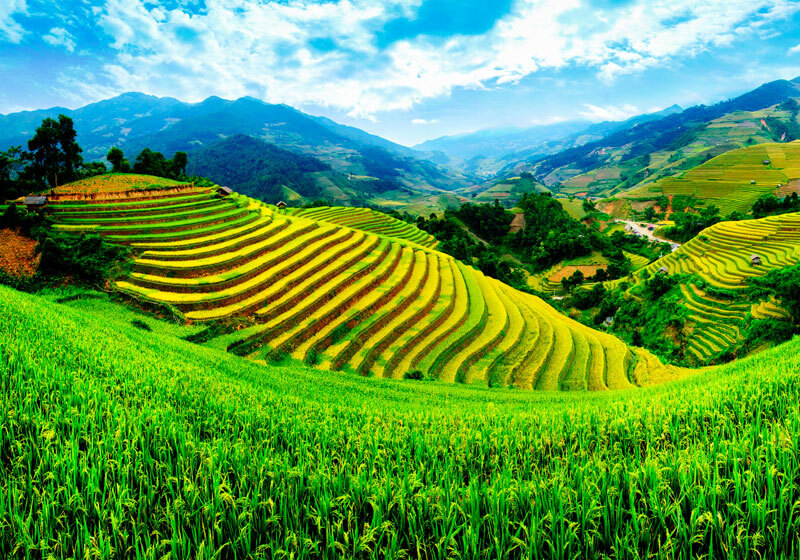 Locals to this day still plant rice and vegetables on the terraces, although more and more younger Ifugaos do not find farming appealing and emigrate to the cities. Short Description: The Banaue Rice Terraces are terraces that were carved into the mountains of Ifugao in the Philippines by the ancestors of the indigenous people. The terraces are occasionally called the "Eighth Wonder of the World".